Thanks to a very productive weekend, I added thirty three hundred words to my novel and completed its climactic fourteenth chapter! 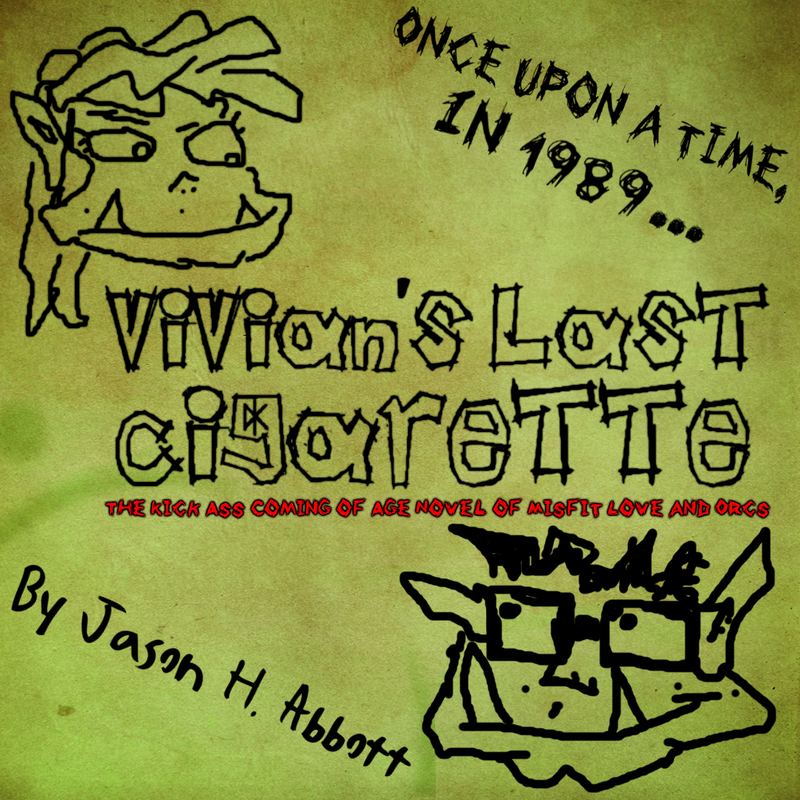 Vivian’s Last Cigarette is now closing in on 54,000 words in total as I’ve reached the threshold of its falling action. I’m excited to keep going, as I shouldn’t have more than two chapters to complete before finishing a first draft of the story! Chapter fourteen ended up being the longest in the book so far, and I doubt the chapters proceeding it will exceed its initial length of over seven thousand words. Although I think an emotional and action-packed climax warrants a longer word-count amongst its peers, I did shift its 1,300 word opening to the end of the prior chapter. That still makes it the longest in the book, but now only by about a thousand words. Given that the opener closed with a scene-change, I think it punctuates better now ended with a chapter break. And chapter thirteen shifted scenes twice as it was… Ending it with a third one (featuring the same character that opened the chapter) seems to give it a better flow in retrospect. I also made a decision to rewrite a supporting antagonist in the story over the weekend. Their “loyal henchman / buddy to the main antagonist” schtick just wasn’t sitting right with me, and even worse they were coming off as bland. Then in a second of inspiration, I had the thought that, if he was a she, I could add about four new layers of color and interaction. Layers that strengthen not only her character, but also highlight a key point about the main antagonist that is driven home in the climax. So, BOOM… Cory became Corilynn. It’s mostly a gender flip with their personality tweaked only ever so slightly… But Corilynn’s relationship roles definitely change even when her character functions stays the same. This adds work for me to do with editing, but I love how the revision likewise adds dimension and contrast so efficiently and widely to the story. Grace Jones as May Day in A View to a Kill (1985). A girl antagonist also adds a significant active female presence to the story. Although Viv is the titular character of the novel, gets a lot of time devoted to her, and I’ve worked hard to make her a rounded character with strengths and flaws… to this point in the draft she’d been the only active female character. With that in mind, I really didn’t add Corilynn just to place a second girl in the tale. Nor is she intended to be, or used as, a foil to Viv. But I do like how Corilynn’s new presence in the story serves as a catalyst that improves a number of character interactions and a plot points. And I’m always up for making a story better! ;-) Frankly, I’m surprised I didn’t have the idea sooner. Awesome job with the big chapter. I know that one was a heavy weight off your shoulders. It is funny how little changes can manipulate the entire feel and structure. After years of hard-headed persistence, making those changes becomes one of the best things we could have done. Well done. Keep at it a little longer. Congratulations Jason, glad it’s going so well. Thanks, I’ve not heard of the Bechdel Test before! The Bechdel Test is an interesting thing, I’m surprised you hadn’t heard of it by now as it’s gotten rather popular. It’s an interesting tool to measure how gender-friendly a work might be, but it’s also not without some flaws that make it anything but ironclad. Well we all have to get food on the table and a roof over our heads so needs must as the devil drives as they say. This is what I love about WordPress, you learn something new everyday! Let’s face it no test is ironclad, but at least it seems a good base to work from.